Award winning otak-otak, satay, and BBQ from just S$120. Get only the best Singapore’s BBQ products with free* islandwide delivery today. Winner of The Green Book Best Food Awards 2009/2010 & 2011/2012 (Gold). Do keep us in mind for your upcoming chalets, parties, functions and events. Share the good news with your friends today or place an order with us in the form below to start buying now. 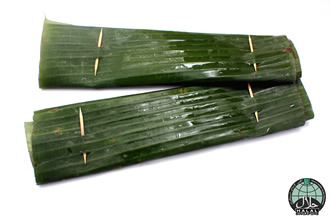 We're the easiest way to order award winning otak-otak & BBQ online. Select and add in the desired quantity for your product. Your order will be automatically calculated. Click submit. Our team will contact you once order and payment is received. You may pay via PayPal, or direct bank transfer. We will deliver the items to you (eg: home, chalet, events). Free delivery for orders above S$250. Standard service & delivery charge of S$25 for orders below $250. Minimum delivery order of S$120 required. Full payment to be payable upfront (of total displayed; DBS & POSB accepted; further info in confirmation email & receipt). No delivery to Sentosa & Pasir Ris Park. However we could deliver to the nearest MRT station (ie: Pasir Ris and Harbour Front MRT). For East Coast Park, we deliver to the nearest specific carpark (eg. carpark G2) in East Coast Park. (There will be no direct delivery to BBQ pits and Areas A to G). Orders to be placed minimum 2 days in advance. For orders through website, we will contact you to confirm the order by latest the next working day. Do give us a call if you did not hear from us (details in email receipt). No cancellation or amendments once both parties have confirmed the order. Thanks and do enjoy your upcoming BBQ event and outing!